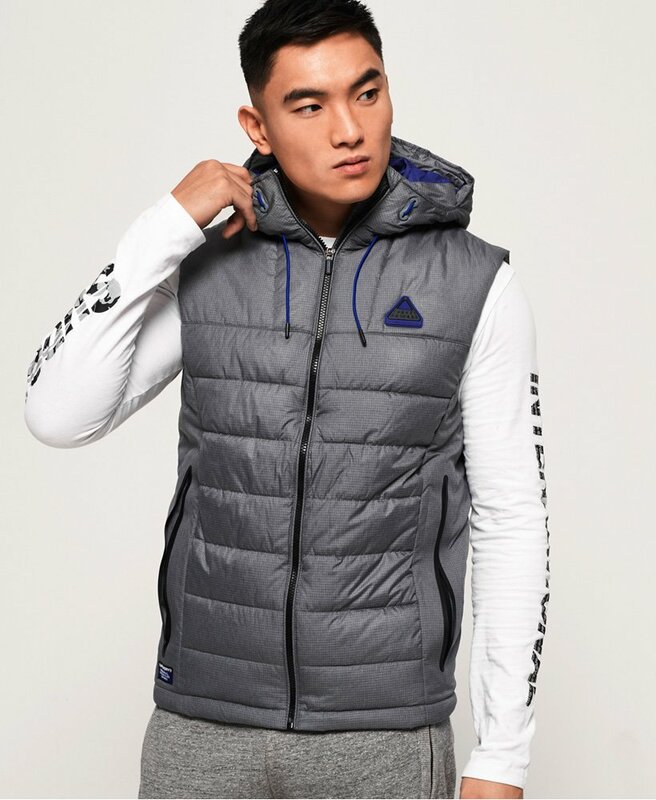 Superdry men's Jayden gilet. This padded gilet features a bungee cord adjustable hood, a front zip fastening and two zip fastened pockets. This gilet is completed with Superdry logo badges on the chest and above the hem. The Jayden gilet is the perfect layering piece for this season, and looks great over a hoodie.